Starting on Boxing Day and leading up to an almighty event on New Year’s Eve, Josh Lacey’s comic tale of Eddie, who has been left in charge of his Uncle Morton’s dragons over the holiday, would make an ideal Christmas gift for a new reader. Once they start reading the slim book – perhaps on Boxing Day, too – any child is sure to be hooked. Told in an epistolary style through emails between Eddie and his wayward uncle, Josh Lacey is wonderful at giving us just enough information so we can fill in the blanks ourselves. The background to the story has Eddie’s mum and dad both reeling from their recent divorce – Mum has gone off on a yoga retreat, while Dad not only has a new girlfriend, but has also bought a castle! Uncle Morton, meanwhile, is snowed in on his island and can’t come to collect his dragons – not that he minds too much until his stock of duck pâté and red wine runs out. And so it is left to Eddie to be the sensible one, trying his best to keep his parents in order and the dragons out of trouble. 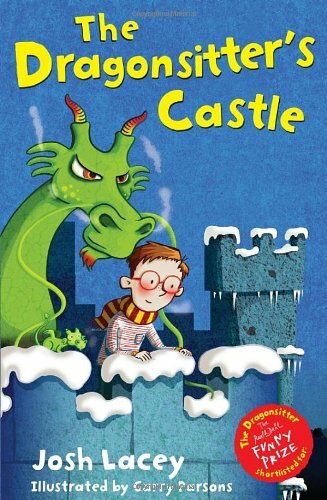 Full of fun, this is a perfect first chapter book for boys and girls alike, and a great follow-up to The Dragonsitter and The Dragonsitter Takes Off.